Red clover also referred to as Trifolium pratense is an inhabitant of northwest Africa, Western Asia and Europe, but it has been planted and naturalized in other regions on the globe. This wild plant belongs to the legume-family which is normally used for grazing livestock among other animals. Traditionally, red clover has been used to cure various illnesses including cancer, skin inflammation like eczema and psoriasis, respiratory problems and whooping cough. This plant was thought to aid with blood purification, liver cleansing, and blood circulation improvement. Research has shown that this plant has some isoflavones, plant-based chemicals, known for stimulating the production of estrogen within the body. This chemical has demonstrated some potential in treatment of various conditions related to menopause like osteoporosis, cardiovascular health and hot flashes. This is a herbaceous, perennial plant which is commonly grown in the meadows around Asia and Europe. This short-lived plant is variable-in-size and it tends to grow up to 80cm in height. The leaves of red clover are alternate with 3 leaflet and each leaflet measures 8-15mm broad and 15-30mm long, with a unique pale crescent on the outer half-of-the-leaf. The petiole of the leaflets is about 4cm long with 2 basal stipules. On the tip of each branch there is a dark pink flower with a unique pale base about 12-15mm long which tends to produce a dense inflorescence. During menopause the estrogen levels drop in the body, this increases the risk of developing osteoporosis. Various studies done suggest that red clover extract can help reduce the rate of bone loss thus boosting the bone density in both peri and pre-menopausal ladies. Various researchers think that red clover’s isoflavones aid in reduction of menopause symptoms like night sweating and hot flashes. This is caused by their estrogen-like effects in the body caused by the water-soluble chemicals, phytoestrogen referred to as isoflavones. 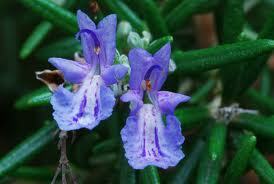 The extract from this plant has some diuretic properties and thus can aid raise an individual’s urine output. This is quite helpful in case you are retaining water because of various unknown/known reasons or you body is bloated from menstrual cycle. Red clover has been used as an anti-inflammatory for years now, especially when dealing with various skin inflammations like eczema & psoriasis. One of the major red clover properties is cleansing, this extract helps with blood and liver cleansing and it has been featured in various cleansing teas. Another major property is full body detoxification; red clover helps eliminate the built-up of various toxins and chemicals within the body. One most beneficial side effect of this extract is that it helps reduce the cholesterol levels. Various scientific studies have been done on the effects the red clover extract has on cholesterol and proved this property of red clover. Various preliminary test-tubes trials show that red clover’s isoflavones can help eradicate and also prevent the growth of various cancerous cells. Although it has shown various anti-tumor activities, this plant has been used in various parts-of-the-Globe to deal with cancer. This herb can help prevent both endometrial and prostate cancer, but the estrogen like effects produced by isoflavones can aid the growth of certain cancer cells. With this method you can create about a pint infusion which can be consumed at ones or in small equal proportions during the day. 1. Add approximately 30g of dried flower into a glass-jar and pour boiled water over it until the jar is filled. 2. Cover the jar with a lid and allow the flowers to rest calmly for about twenty minutes covered. You can leave it for up to 4 hours if you wish to. 3. Then strain the mixture into another mug using a fine-meshed-strainer and discard the flowers. 4. You can add a tea spoon of honey into the infusion and drink it after it has cooled to room temperature. If you want it to soothe cold or coughs you can take it hot. 5. You can then store the remainder in your refrigerator until ready to drink again. Salix alba is the botanical name of white willow. The other common names for white willow are willow, common willow and European willow. The genus name of the willows, Salix, derives from the Celtic sal, which means “near,” and lis, “water.” The specific name, alba, is a Latin word which means “white”, and it refers to the color of the leaves’ undersides. It comprises of about 300 species. Some species grow very tall up to 25m or more. Some of them grow up to 1.5-2m only. It is a deciduous tree. Its native is Europe and Western and Central Asia. They are found from Arctic area to South Africa. How to identify white willow? As seen earlier, the tree may be medium sized or very tall. They have rounded crown of branches. They have a weak stem that get easily broken during storms. If you are looking for the tree in the wild, you should first look in places that are far from ponds, stream, river and other sources of water. The upper surface of the shiny leaves is grayish green in color. The color changes to yellow when they are ready to whither.The leaves are paler than other species of willow because of the silky white hairy appearance under them. The bark of white willow is slightly yellow in color. The limbs of the branches extend up to the ground. There is sure to be a lot of litter beneath the tree that includes broken twigs, branches and withered leaves. Does white willow have medical benefits? White willow has a lot of medicinal benefits. It has been used thousands of years before to cure many health conditions. It was in the early eighteenth century that it was first found that the bark of white willow contained salicin that treated pain and fever effectively. The extracts were used to make the first aspirin in the later part of eighteenth century. What are the health properties of white willow? The bark and leaves of white willow are useful in treating the following. 1. It is used for getting relief from pains. It is effective in treating lower back pain, osteoarthritis and rheumatoid arthritis. 2. Its anti-inflammatory properties are useful in reducing the inflammation. 3. It reduces the symptoms of flu and other types of fever. 4. It is helpful in lowering the symptoms of menopause like night sweats and hot flashes. 5. They have been successfully used to remove warts, corns and unnecessary flesh from the body. 6. Although it is not very effective for weight loss when it is used alone, it boosts the metabolism of the body and helps in weight loss when combined with other herbs. 7. It gives relief from headaches and toothaches. 8. It is useful to people who are at the risk of getting strokes because of its blood thinning properties. 9. It is also used to treat bursitis and tendonitis. Why is it preferred over aspirin? It starts to act later than aspirin, but the effects remains for a longer duration of time. Moreover, it does not cause stomach bleeding. How to use white willow? It can be used as tea, tincture and tablets or liquid form. The dosage depends upon the form in which you are taking it. You can drink four or more cups of white willow tea a day. If you are going for the tincture form, you can take 3-5 ml three times a day. If you are going for tablets or liquid form you can take 60-240 mg a day. How to prepare white willow decoction and tea? Decoction for white willow herbal tea can be prepared by boiling root, bark, leaves and seeds. They should be boiled in water and simmered to make sure that all medicinal properties are fully extracted. It can be either drunk or used topically for sores or gargled to heal toothaches and throat aches. If you cannot get the parts of white willow, it is not a matter of concern. It is available in powder form in almost all stores that sell herbal supplements. Take 2 tablespoons of the powder and boil it in 8 ounces of water. When it starts to boil, simmer it for 10-15 minutes. Then let it steep for half an hour. Filter the tea and add lemon, honey or sugar to suit your taste. How to prepare white willow tincture? The ratio of white willow powder and the solvent is 1:5. The solvent used here is grain alcohol. Dissolve it thoroughly and store it in a airtight container for 2 weeks. Then strain it. You can mix it with water, milk, juice or tea. What are the side effects of white willow? The side effects include renal damage, tinnitus and gastrointestinal problems. It may cause other side effects like vomiting, nausea and stomach ulcers etc. It is not advisable for pregnant and lactating women. What are the interactions of white willow? It should not be taken while taking medications like beta blockers, diuretics, anticoagulants and NSAID etc. White willow is a wonderful herb with many medicinal properties, but it is better to take it after consulting your doctor. Mint is part of the Genus Mentha in the Lamiaceae family, and there are a huge number of different species available for you to use. The different species are not incredibly distinct; however, it is believed that there are over 15 different varieties. All mints are considered to be pleasant to smell; however, they can also be used for medicines and for dietary requirements. The leaves are extremely distinct on the Mentha plant and are arranged in pairs along the steam. The color of the plants varies from grey-green to dark green, and in some countries they can even be yellow. The mint plant also contains fruit, which houses one to four seeds, which can help to propagate the plant. This perennial herb enjoys wet growing conditions, and thrives in moist soils, however, they can be found in several different countries. 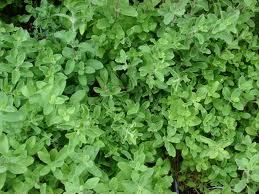 Mint is incredibly fast growing, and will spread over a huge distance if allowed to grow. 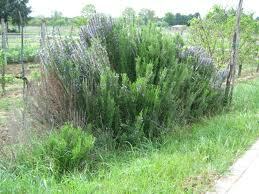 Therefore, many people consider this plant to be invasive, if left to grow unattended. Due to the incredible speedy growth of these plants, one plant will provide the average household with enough mint for all year. To control the growth, you may find it easier to place the mint in a pot or container, which will ensure that you are not over run with this plant. Having this plant in your garden is perfect to repel many insects and pests. You can harvest mint at any time, and fresh mint leaves are perfect in many different dishes and beverages. Once picked you will need to use the leaves immediately, or store them in a refrigerator in a plastic bag. You may also want to consider freezing the mint leaves in ice cube trays and removing when needed. Dried mint leaves are another fantastic way of taking advantage of this delicious herb, and these will need to be stored in an airtight container. 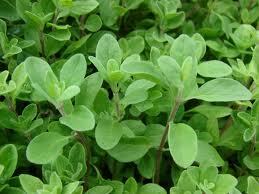 There are many incredible health benefits from using the Mentha leaves in your cooking. You will find that this plant aids your digestion and stimulates your saliva glands. Once these have been stimulated, your body will produce the enzymes, which help your body to digest your food. These plants will also help to relieve respiratory problems and coughs, and can help if you suffer with asthma. 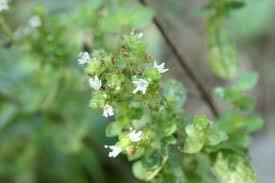 However, you need to be aware that too much mentha, can cause more problems, and panic attacks. 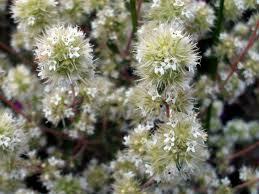 You will also find that this plant is excellent at helping with headaches and when you suffer from nausea. 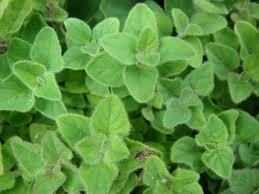 Some people use the plant for antiseptic purposes, and mint can help with acne and skin conditions. 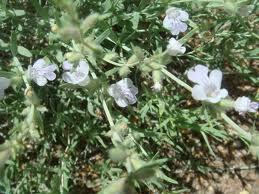 The plant can also be used to purify damaged skin and soothes burns and cuts, which you may have. Bad breath can also be combated with mint, and will result in your mouth being cleaner and far fresher. The high levels of vitamin C, which is in the mint, will play a huge part in boosting the immune system and help fight viruses. There are also high levels of manganese present, which is an antioxidant, which targets the free radicals within your body. High levels of amino acid are also present, which is excellent at helping to control mood swings, and will affect how you feel. This is often why people feel better after a cup of mint tea, and why it has an incredible calming effect. If you do not want to drink the tea, you can easily inhale the mint, which will have the same effect. There are several different dishes that you can place the mint within to create delicious meals for everyone to enjoy. The leaves can be used in both sweet and savory dishes, as it has a pleasant cool after taste. You may want to include the mint in ice creams, jellies, candies, and teas; however, it is also delicious with meat, especially lamb. Some alcoholic drinks also have this plant included, and these make perfect ingredients for cocktails. Whether you want to eat, drink or use the mint in a natural remedy, it has a huge amount of uses for everyone. You will feel healthier, and have a better digestion after consuming the menthe plant, and be better informed about all of the incredible benefits. The genus name, Salvia, comes from the Latin verb “salvare” (to save but also to cure). The specific name, officinalis, refers to this plant’s medicinal use. The latin name Rosmarinus is a compound word: “Ros” means “Dew” and “Marinus” means “of the sea”. 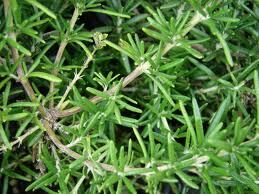 So Rosmarinus stands for “Dew of the Sea” as the plant grows well near the sea-coast and sea-foam sprays upon it. 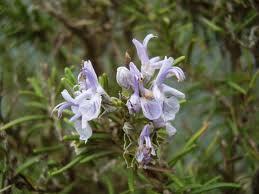 Officinalis (meaning ‘of the workshop’) is a common species name and it denotes medicinal plants. The name “Origanum” comes from the Greek “origanon” which is a compound term formed with the words “oros” (mountain) and “ghana” (I am pleased), alluding to the concept of delight or ornament of the mountain. The specific name “majorana” derives from the Greek “amàrakos”, with meaning fragrant plant. distinctive taste of Origanum majorana.